We have been getting our craft on this afternoon with some bits and bobs from ELC. We were set a challenge to create a beautiful Valentines craft from only the supplies we were given. These included lots of sequins, stickers, pom poms, coloured card, pipe cleaners, glitter glue, wobbly eyes and more! 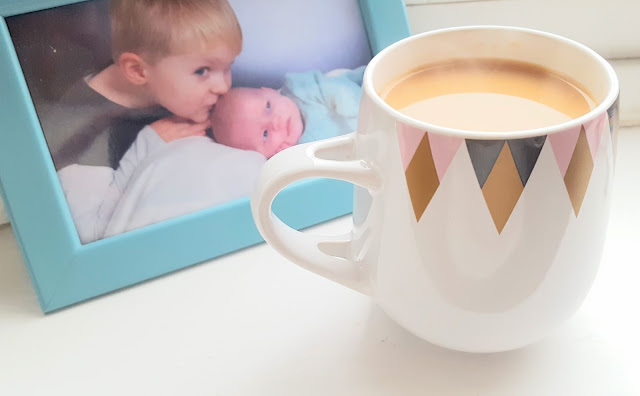 Ted is still quite young as far as crafting goes but I think it is good to get toddlers into crafts as it is sensory as well as creative. 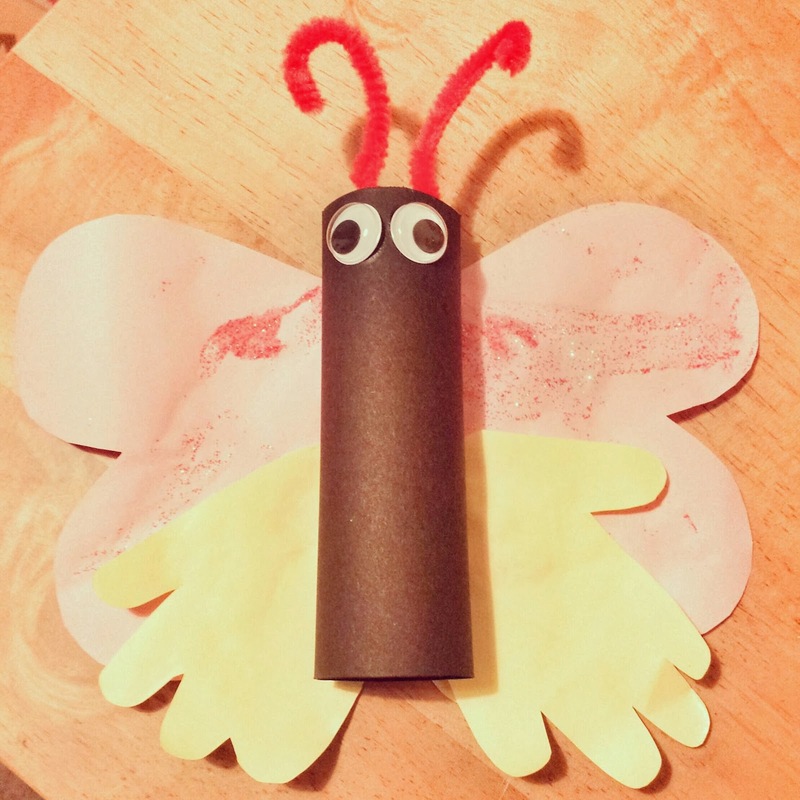 We decided to make a pretty butterfly to give to his Nana as he is a bit little to have a girlfriend! I took a sheet of black card and rolled it into a tube to make the body. 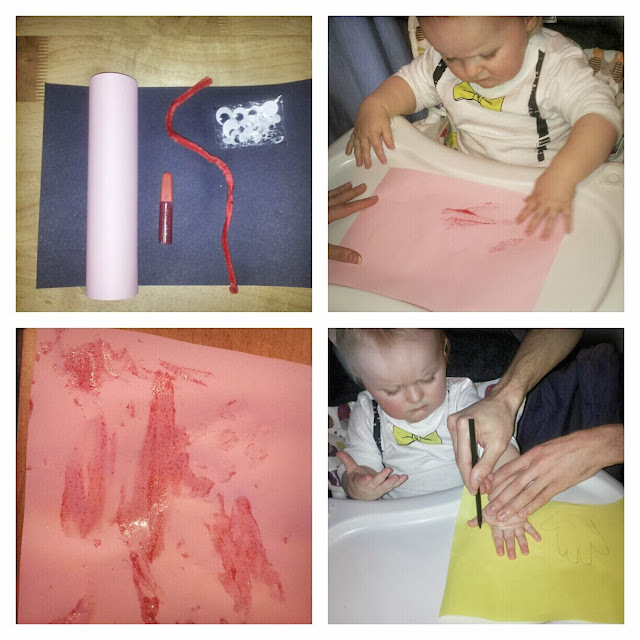 Next Ted had some fun with glitter glue on pink paper, rubbing it in and generally making a glittery mess! But the result was some sparkly pink paper for the wings. Next we drew around his little hands, he quite likes this bit, to make some hand shapes for the bottom part of the wings. We did attempt to decorate with paper strings but Ted decided he did not like the feel of it one bit and thew it on the floor! I added some wobbly eyes and pipe cleaner antennae and glued it all together! This craft took a bit of teamwork but we had fun as a family and that's what Valentines is all about, Love! Ted's Beautiful Butterfly for Nana!